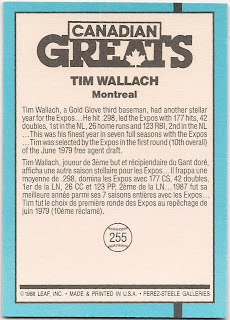 Tim Wallach: 1988 Leaf #255 "Canadian Greats"
1988 Leaf #255 "Canadian Greats"
Card Review: 9.4 Every year growing up as a kid, I would eagerly tear into new packs of Donruss hoping to find that Tim Wallach had been chosen as Montreal's "Diamond King." 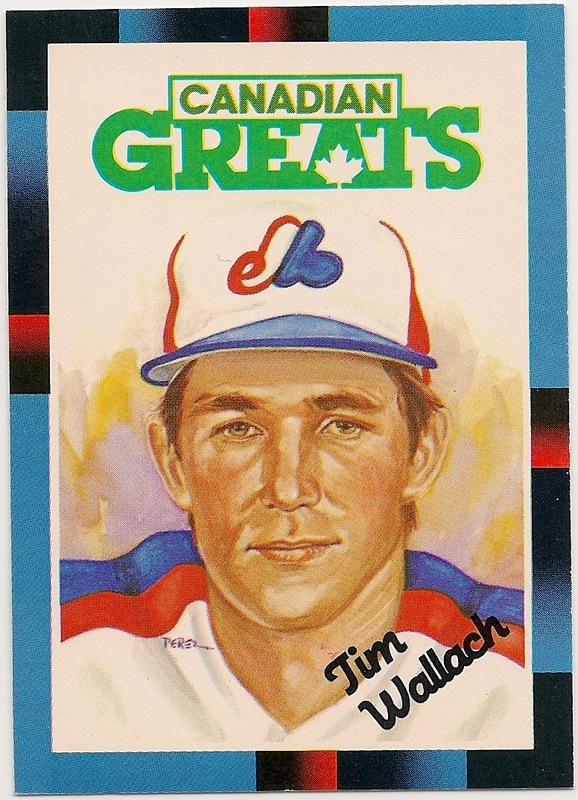 Wallach was never selected, and there were some very questionable selections on the part of Donruss over the years (Bryn Smith!?!). Years later thanks to ebay and the internet, I discovered this card had been put out by Leaf. It felt like a bit of a victory.